Alvar Aalto designed the building at Tiilimäki 20 in Munkkiniemi as his own office in 1955. Because of a number of large commissions, the office needed more space to work in. The building is only a short walk from Aalto’s own house, where the office had previously been located. Studio Aalto is one of the best of Alvar Aalto’s 1950s buildings. 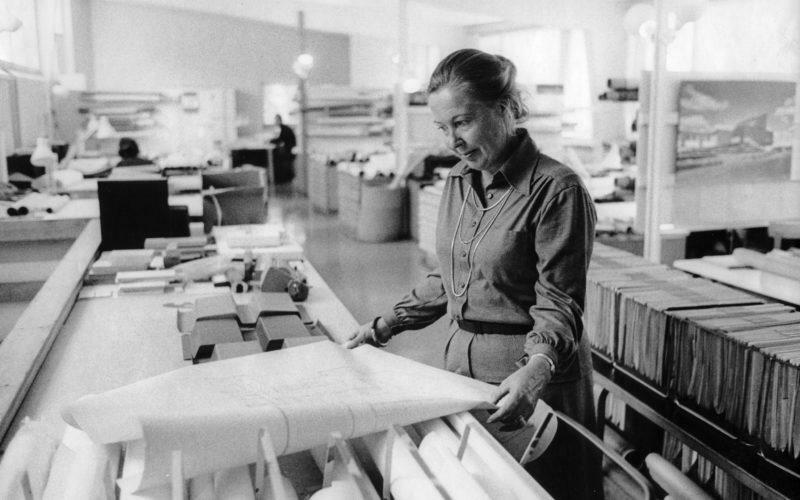 “You can’t create architecture in an office environment,” is how Aalto described working in an architect’s office. Aalto designed a free-form studio section for the building, and a drawing room using natural light. The building curves around a stepped, amphitheatre-style courtyard sheltered from the wind. On the upper floor there is a drawing office on a narrow plan, beautifully encircled by natural light from a band of high-level windows. In 1962-1963 the building was extended by building a dining room for the staff, the ‘Taverna’, in the courtyard behind the high brick wall, with an office above it. Many of Aalto’s best-known works were designed here at the Studio. Alvar Aalto ran the office until his death in 1976. After that, the office continued under the leadership of Elissa Aalto until 1994. The building came into the custodianship of the Alvar Aalto Foundation in 1984 and today it houses the Alvar Aalto Foundation staff. You can visit the Studio Aalto in guided tours for groups. There are public guided tours of the Studio throughout the year. The white-rendered, wall-like, closed-in mass of the building conceals a garden shaped like an amphitheatre in its inner courtyard. The office staff could sit on the slate steps of the amphitheatre, listen to lectures or watch slide shows projected on the white wall. The principal space in the building is the curving studio which has a view opening onto the courtyard. Horizontal battens fixed to the high walls of the studio allowed drawings to be displayed there. The rear wall is covered with climbing plants reaching up to the high-level windows and prototypes of light fittings designed by Alvar Aalto are hung in front of the wall. The slanting bay window of the conference room with its roof light creates the perfect conditions for examining models and drawings. Aalto designed a free-form studio section for the building, and a drawing room using natural light. The building curves around a stepped, amphitheatre-style courtyard sheltered from the wind. Many of Aalto’s best-known works were designed here at the Studio. Studio Aalto is located in Munkkiniemi area in Helsinki on Tiilimäki 20. From the city centre of Helsinki you can take a tram number 4 to Munkkiniemi area. The closest stop to the house is called Tiilimäki. Please check timetables online from the journey planner. 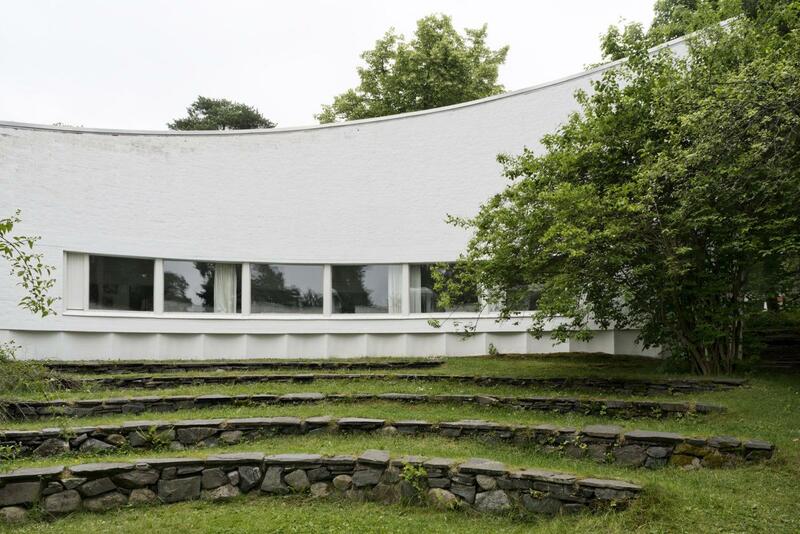 You can visit Aalto’s studio with a guided tour. 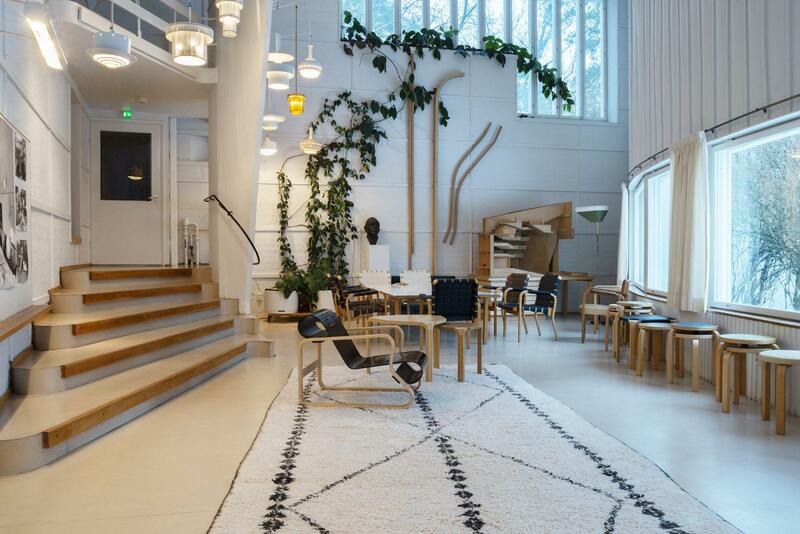 It is highly recommended to book visit in advance online from Alvar Aalto Foundation’s webshop! There are tours available all year round almost daily. Tours lasts an hour and includes both the guided tour itself and free time to enjoy the special atmosphere in the house and explore the museum shop too. Please check times and exception in advance from Alvar Aalto Foundation webpage. 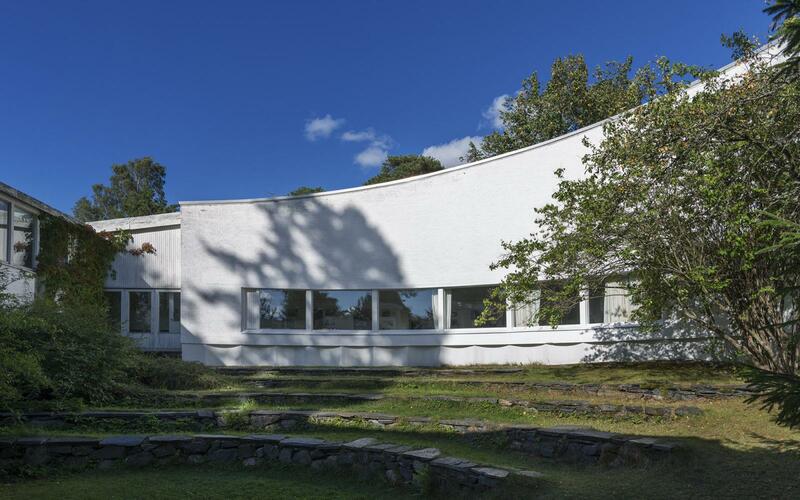 Please note, that you can also visit The Aalto House which is also located in Munkkiniemi on Riihitie 20. Please check times and book your tickets online in advance! Please note that you can purchase publications about Studio Aalto as well as download architectural drawings from Alvar Aalto web shop! Book your visit at shop.alvaraalto.fi in advance!